For the first time, a major body of work by artist Georgia O’Keeffe is coming to Australia. 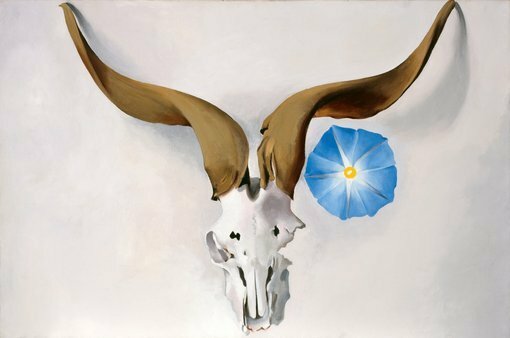 The Art Gallery of NSW, along with Heide Museum of Modern Art in Victoria and the Queensland Art Gallery, will present O’Keeffe, Preston, Cossington Smith: making modernism , in partnership with the Georgia O’Keeffe Museum, Santa Fe. This ground-breaking exhibition will showcase the iconic art of Georgia O’Keeffe, one of the most significant American painters of the 20th century, alongside modernist masterpieces by the celebrated and pioneering Australian artists Margaret Preston and Grace Cossington Smith. The paintings of these three artists represent distinct modernist visions that express the identity and culture of their respective nations. The landscape and a sense of place were a tremendous source of inspiration for each of them. While O’Keeffe, Preston and Cossington Smith developed highly individualised styles, the conceptual underpinnings of their work, their shared themes and their approaches to the portrayal of modern life underscore the broader story of how modernism evolved around the world. Preston and Cossington Smith, like O’Keeffe in America, have long been recognised for their central role in the development of modern art in Australia. The three artists are connected by their choice of subject, their experimentation with light, colour and form, and their commitment to presenting alternative ways of seeing the world. In considering the similarities and distinctions in their art, the exhibition aims to bring deeper understanding about modernism’s dispersal and reinvention as the movement developed beyond the metropolitan wellspring of Europe. It will not only introduce Australian audiences to one of America’s most innovative painters, but also bring fresh perspectives to the work of two of Australia’s best known and beloved artists. O’Keeffe, Preston, Cossington Smith: making modernism draws together approximately 30 masterpieces by each artist from the breadth of their careers, with major paintings from Preston and Cossington Smith on loan from public and private collections across Australia. My co-curators on the show include Lesley Harding (Heide) and Jason Smith (initiating curator) along with Cody Hartley and Carolyn Kastner (Georgia O’Keeffe Museum). The exhibition will be on display at Heide from 12 October 2016 until 19 February 2017, before touring to the Queensland Art Gallery from 11 March to 11 June 2017, then to the Art Gallery of NSW in Sydney between 1 July and 3 October 2017.